Ancient Christians invoked sin to account for an astonishing range of things, from the death of God's son to the politics of the Roman Empire that worshipped him. 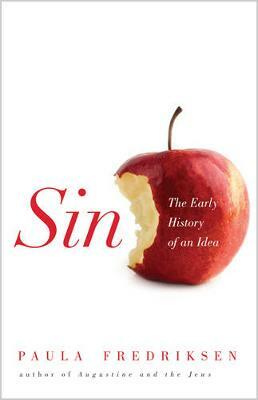 In this book, award-winning historian of religion Paula Fredriksen tells the surprising story of early Christian concepts of sin, exploring the ways that sin came to shape ideas about God no less than about humanity. Long before Christianity, of course, cultures had articulated the idea that human wrongdoing violated relations with the divine. But Sin tells how, in the fevered atmosphere of the four centuries between Jesus and Augustine, singular new Christian ideas about sin emerged in rapid and vigorous variety, including the momentous shift from the belief that sin is something one does to something that one is born into. As the original defining circumstances of their movement quickly collapsed, early Christians were left to debate the causes, manifestations, and remedies of sin. This is a powerful and original account of the early history of an idea that has centrally shaped Christianity and left a deep impression on the secular world as well.